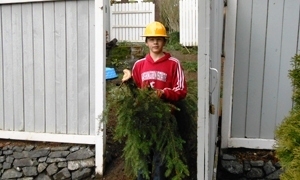 At Hunter’s Tree Service, we know that nothing is quite as relaxing an experience as enjoying the luxuries of nature, more so if those luxuries are present on your University Place property. Adding trees to a property not only drives up its value significantly but also brings a whole host of benefits to the University Place homeowner. Be it a source of shade, reducing the temperature, preventing soil erosion due to wind or even restoring the water table. Even though defying nature isn’t exactly possible, you can make sure that the trees on your property will live a longer and much healthier life, giving your property a well maintained appearance instead of a sinister one. But in order to get the University Place landscape of your dreams, you need the assistance of Hunter’s Tree Service expert arborists and tree surgeons. 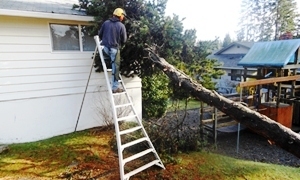 In business since 1986, we have over 25 years of accumulated tree service experience in handling almost each and every type of tree care problem and now bring our high quality tree care services to our valued customers in University Place. Don’t delay having tree care; get the best looking property along with all the benefits of having a healthy tree-lined landscape. Call Hunter’s Tree Service and make sure that all of University Place recognizes the beauty and value of our property today. 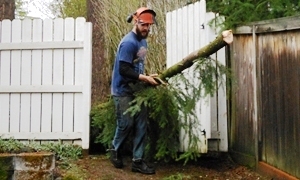 We’ll send over one of our tree care experts to give you an honest and transparent estimate, completely obligation free.